A myriad of ways exist for real estate agents to generate leads. One of those ways is to use Home Value Leads Facebook advertising process. Another way is to network and follow up with individuals you’ve placed into your sphere of influence. Or, you could use good old word of mouth marketing to generate leads. You could also post videos on YouTube and drive people to your real estate agent site. One other way to generate leads is to knock on doors. We’re going to publish some blogs on door knocking. Right now, you might think, “Knock on doors? How can that help me generate leads?” That’s exactly it. Most every real estate agents believe that door knocking is either out of bounds or ineffective. We’re here to tell you that knocking on doors can be a great way to generate present and future leads. It’s a question of pre-planning, strategy, and follow through. We’ll discuss those things in a future post. In this post it’s important that we put away any fears you might have about feeling that you’re wasting your time by knocking on doors. Ever heard the saying, “What’s old is new again?” The saying implies that what once was important or effective, and became ineffective or unimportant, is now important or effective again. That’s what knocking on doors is. It’s an old school real estate agent way of generating leads that became ineffective for a while, but is now effective again. You might wonder how it became ineffective. That’s easy. The internet gave every entrepreneur no matter the industry the false impression that all they had to do was market on it and like magic they’d become instant millionaires. That’s not how internet advertising works. Internet advertising, or digital advertising, requires an action on the part of the person being advertised to. It’s passive, but to be active, it requires the person reading or seeing the message to act upon it. Turns out that people don’t often act after getting an ad, which is why real estate agents must bolster all social media advertising with actual, personal, social media, the stuff that has only a small percentage to do with you being a real estate agent. Door knocking requires no action on the part of the person who answers the door, the person being advertised to. As any good ad executive will tell you, this leads to effectiveness because requiring someone being sold to do any action, even the slightest possible action, is tough! That’s why what’s new is old again. Door knocking has become effective again. After reading the above, you might want to put on your nice suit, rush outside, and start banging on doors. You won’t, though, because like every real estate agent, you’re hesitant. Okay, there are other things that you must do before knocking on doors. Pre-planning is huge and you better have a door knocking strategy. But, the real reason you won’t do it is because you’re hesitant. We’ve been taught that the only way to generate leads is through the internet. And, that’s okay. Customer retention management systems like Home Value Leads’ are great at allowing us to take whatever leads we’ve generated through our social media advertising and putting them into the CRM. You can also put door knocking generated leads into the HVL CRM, though. So, that’s not an excuse. Here’s the bottom line: you’re hesitant, which means every other real estate agent is hesitant. Wouldn’t it be nice to be one of the few real estate agents who wasn’t scared to go door knocking? Of course, it would! You can differentiate yourself by just putting door knocking into your overall real estate agent leads process. Walking around and knocking on doors on a sunny day sounds great, doesn’t it? Get your steps in while generating leads? Sounds like a win-win! Here’s where door knocking strategy slightly comes into play. No real estate agent runs out of their house and starts knocking on doors. That doesn’t happen. That shouldn’t happen because if you do that, all you’re doing is wasting your time and the people’s time that you meet. Sure, a few people could answer a few doors who are interested enough to accept your information, but more than likely, you’ll end up meeting nobody who cares that you’re a real estate agent. Before knocking on any doors, heck, before doing any marketing, you must canvass specific neighborhoods. By canvassing a neighborhood, you can ensure that when you do knock on doors in that neighborhood, at least you’re knocking on the door of a house with selling potential. It doesn’t mean the owner cares to sell. It’s better to get to know owners who lives in homes with selling potential, though, then getting to know owners who live in unsellable properties. Not only that, but you’ll get to know people in a specific neighborhood. Once you do that, you get closer to the golden handcuffs for that neighborhood. If you end up selling a single home in a specific neighborhood, there’s a big chance anybody who wishes to sell in that neighborhood will go to you when they’re ready. If you were lucky enough to have had a conversation with the person, even better! Who isn’t impressed by ambitious go getters like door knocking real estate agents? We’re people to, so, let’s put it in terms of the people we meet who knock on our doors. Have you ever had someone knock on your door selling girl scout cookies, or just handing out pamphlets about a cause they’re passionate about? If the person was professional and kind, how did you treat that person? Did you curse them out before slamming the door in their face? Probably not. The reason you didn’t do that is because they gave you an excellent great first impression. There’s only so much of an impression real estate agents like us can give to potential home sellers who visit our website. Plus, all of us have grown accustom to not taking everything we read or see on the internet as the truth. If you go door knocking and someone answers the door, you control their first impression of you. You don’t have to rely on word of mouth, a visit to your website, your Facebook posts or Instagram messages to give your first impression. They’ll get the first impression of you that you give them. This is the most important reason to consider door knocking. By knocking on doors, you can generate leads even if nobody answers the door. How? You leave behind materials: a business card, or something useful like a pen with your name and logo on it. Whatever you leave behind, make sure it’s something that keeps you top of mind. Then, you can write down the address, put it in your HVL CRM as a cold lead, and then follow-up with another door knock in a month or two. Is it a cold lead? It is, but it’s still a lead that you can follow-up on after you follow up on your hot and warm leads. 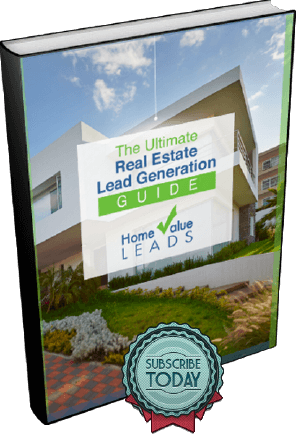 There are all sorts of ways for real estate agents to generate leads. One way that most real estate agents don’t do enough of, if they do it at all, is to knock on doors. Keep the 6 reasons listed here in mind the next time you try to convince yourself that door knocking is ineffective.